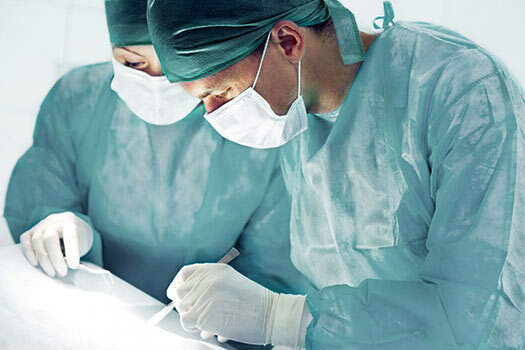 Spinal fusion is one of the most common surgical procedures to correct instability of the spine, often resulting from the removal of a damaged or worn disc. While advances in technology have made the procedure safer than it was even a decade ago, there are pros and cons of a spinal fusion worth considering when surgery becomes a possible option for pain relief. When successful, fusion surgery can add stability to the spine by minimizing movement in the affected area. A stable spine can also minimize pressure on nerves and facet joints and decrease the odds of needing additional surgeries to relieve back pain. Hardware must be installed to stabilize the spine until a fusion forms. Materials used today for the plates, screws, and related devices are designed for greater durability and compatibility. Some patients develop an abnormal spine alignment following some corrective surgeries. Fusion surgery can minimize that risk by restoring normal spine alignment and fixing any deformities existing pre-surgery. It takes several months for the actual fusion of one vertebra to the adjacent one to form. In some cases, the fusion either forms incorrectly or not at all, although taking a patient’s overall health into consideration before surgery can help reduce this risk. When bones of the spine are fused together, added pressure is placed on nearby levels of the spine. This added stress may hasten the wear and tear of other discs and increase the risk of needing another procedure in the future. While rare, some patients experience inflammation from the bone graft or bone substitute used to create the fusion, which may lead to additional scarring and pain. Surgery hardware sometimes causes nerve irritation and related pain. Better assess the pros and cons of spinal fusion surgery as it applies to you by taking time to meet with a board-certified spine surgeon in Los Angeles, ask questions, and fully understand your available options. There are no guarantees that any surgery will be successful. However, being as informed as possible can help you make a confident decision. For more information on spinal fusion surgery or other spine treatments, reach out to The Spine Institute at (310) 828-7757 and schedule a consultation with an experienced and professional spine surgeon today.